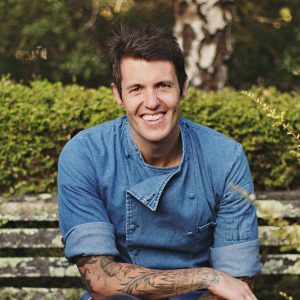 We are excited to be working with celebrity chef, ex-Masterchef contestant and host of Food Lab, Ben Milbourne. As an ex-teacher, Ben used to incorporate cooking in his classroom, “I used to use food to teach chemistry, there are just over 100 elements on the periodic table, that is your pantry, and with that we have built the world around us. “I love experimenting with pineapples, particularly in curries, stir fries, on pizzas and in toasties. They’re also a perfect partner for fish and pork – try grilling pineapple on the BBQ for a tropical addition to your meat. And of course, they add a taste of summer to lots of desserts,” he said.